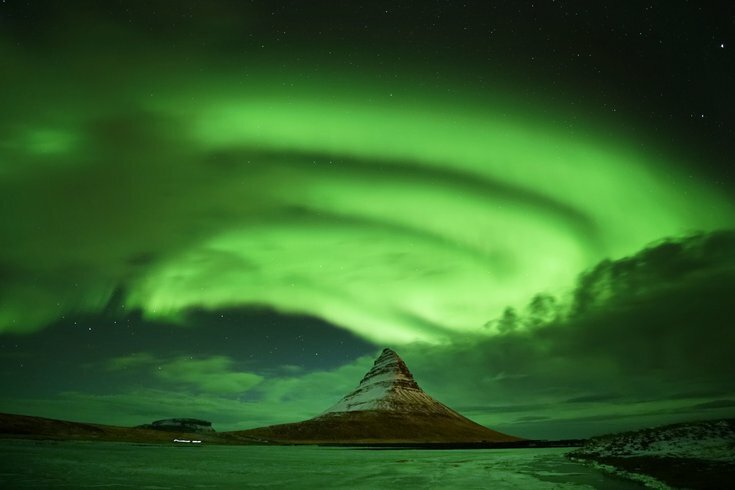 The Northern Lights – seen in this photo above Iceland – could be visible in Pennsylvania on Saturday due to a geomagnetic storm coinciding with a coronal mass injection, which will extend the range of visibility of natural wonder farther south than usual. Atmospheric conditions over North America might give Pennsylvania residents a rare look at the Northern Lights, one of nature's most brilliant displays of color in motion. NOAA scientists and researchers at the University of Alaska Fairbanks are forecasting high aurora activity for Saturday, March 23, due to a geomagnetic storm and a small solar flare coinciding this weekend. A coronal mass ejection, which sends a cloud of charged particles from the solar corona, with the help of the solar flare could extend the range of visibility for the aurora borealis farther south than usual. Under normal conditions, auroras are seen closer to the Earth's magnetic poles as electrons from the sun follow the path of the planet's magnetosphere. "When the electrons and protons from the sun collide with oxygen and nitrogen in the Earth’s atmosphere, they gain energy," UAF scientists explain. "To get back to their normal state, they release that energy in the form of light. The principle is similar to what happens in a neon light. Electricity runs through the light fixture to excite the neon gas inside, and when the neon is excited, it gives off a brilliant light." The aurora first appears in the night sky as a series of arcs from horizon to horizon, with blue, purple, green and red hues. Near midnight, the arcs begin to twist and fold, blending into a tapestry of color and light. This map shows the aurora forecast for Saturday, March 23, 2019. Do to higher-than-normal aurora activity, Pennsylvania residents may be able to see the Northern Lights with clear skies. Look for the Northern Lights to be visible low on the horizon. Visibility will depend on clear skies, so hopeful viewers throughout the northern part of the United States should check their forecasts. In southeastern Pennsylvania, Saturday night's forecast calls for clear skies — which means an improved chance of witnessing aurora borealis. 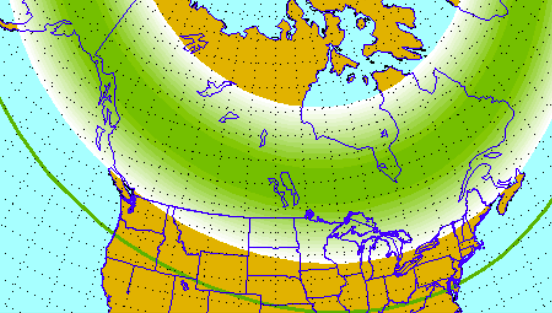 The NOAA's Space Weather Prediction Center offers some general tips on viewing the aurora. The video below offers a deeper explanation of the Northern Lights and a closer look at what we might be able to see this weekend, if we're lucky.